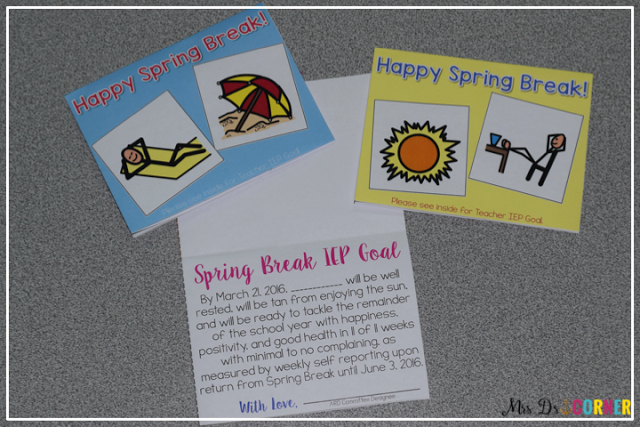 Spring Break is around the corner and it is quickly approaching. YAY! Even though the days are long, the weeks are flying by. 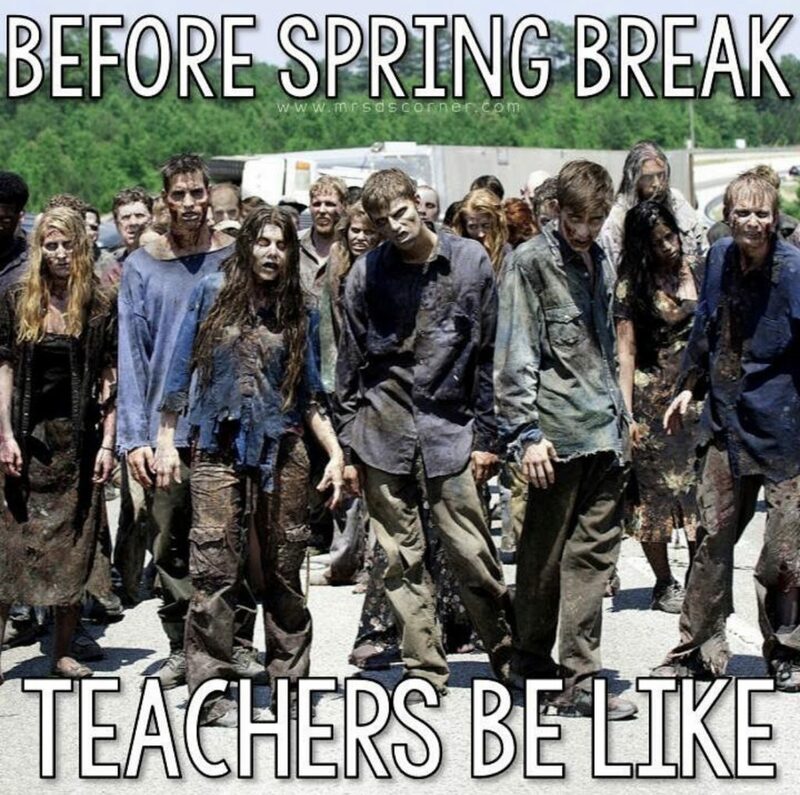 February and all of that time before Spring Break is rough for us teachers, and it seems to turn in to one big blur. So we teachers need to have a little fun by the time break is here… ya know, to stay a little sane. 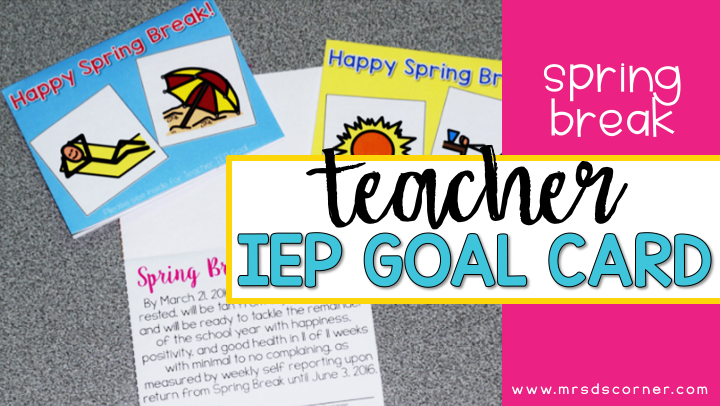 Enter the editable Spring Break IEP Goal cards that you can personalize and hand out to your fellow teachers before Spring Break. Give them a laugh as we unpatiently patiently wait for our much needed and well-deserved break. I give one to each special ed teacher on my team, and I will send a few to admin at sped department at district. We all need a little laugh this time of year, and this is for sure it.